Sealed packs of M. E. Swing Co, or MESCO coffee roll off the end of Walter Russell's conveyer belt and into boxes below. 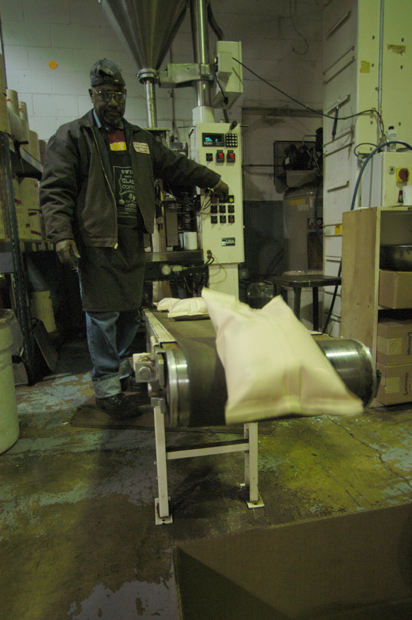 The MESCO roasting facility is located in Alexandria, Va. Russell worked at Swing's right out of high school. He worked for an area produce store for about 4 years, but he's been working at Swing's for the past 17 years.